BoM have moved their ENSO Outlook status down to El Niño watch which means there is still a 50 per cent chance of an El Niño forming. Historically, now is the traditional time for climate drivers like the El Niño Southern Oscillation and the Indian Ocean Dipole to reset for the coming season, therefore skill of the model at this time of the year is lower. January was very dry with large areas highlighted in red in figure 1 showing below average to lowest on record rainfall for the month. Figure 1. Rainfall deciles for January 2019. The last three-month deciles in figure 2 show that significant falls in December for some areas have increased the overall three-month decile, therefore showing what a difference a significant rain event can have. Figure 2. 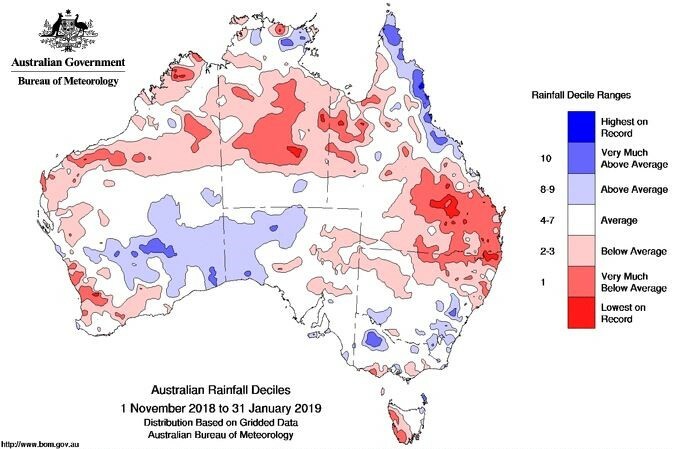 Rainfall deciles for November 2018 to January 2019. 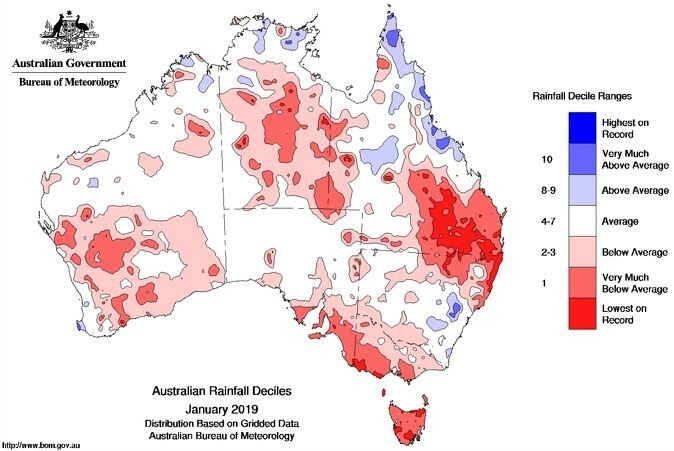 From the BoM’s ACCESS model, large expanses of Australia are expected to receive below average rainfall for February to March 2019. The only areas that show tinges of green in figure 3 is for north Queensland and areas of southern Queensland, NSWs, eastern Victoria and Tasmania. Figure 3. 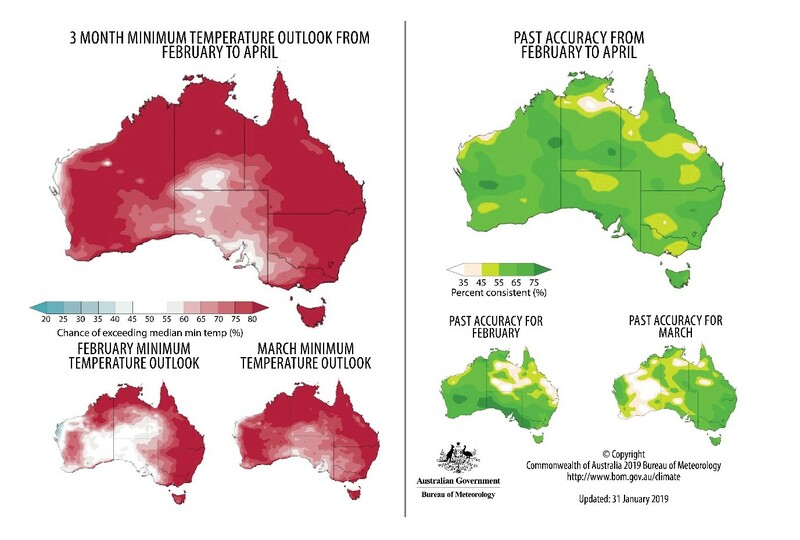 Australian outlook for February to April 2019. 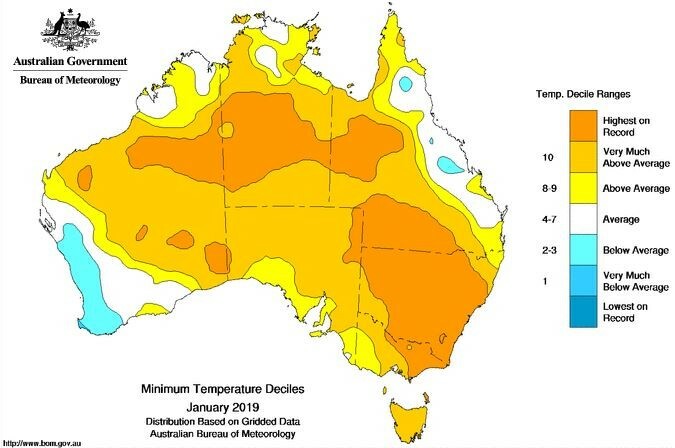 For the majority of Australia, maximum and minimum temperatures have been average to highest on record, except for areas along the Queensland east coast and areas along the coast in WA. Figure 4. 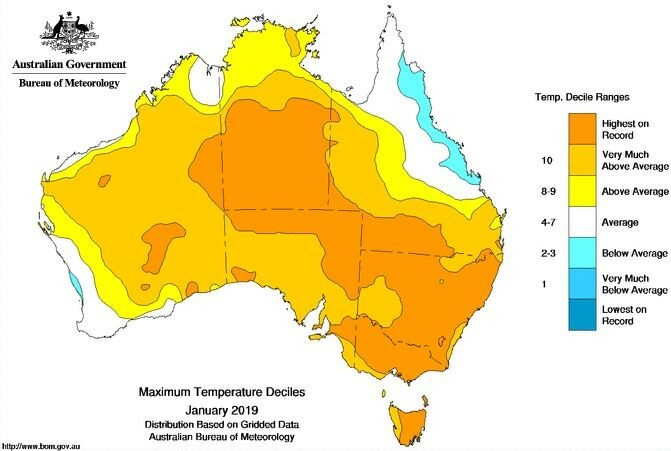 Maximum temperature deciles for January 2019. Figure 5. Minimum temperature deciles for January 2019. 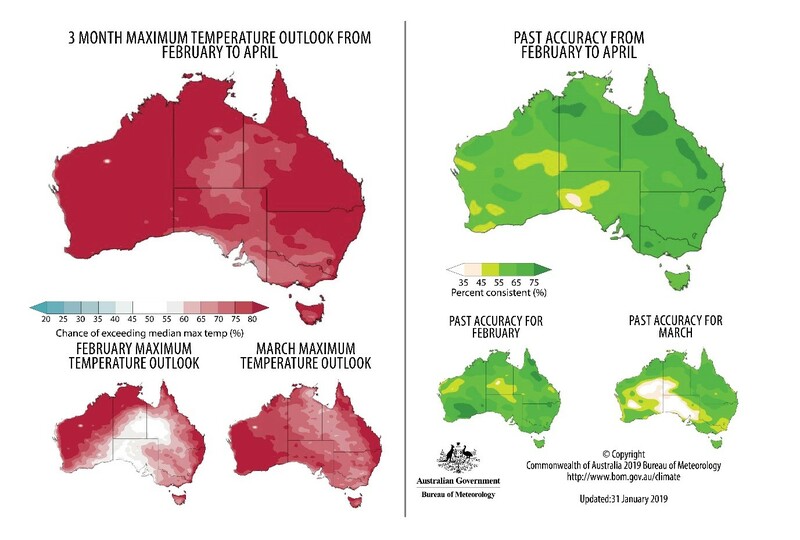 The BoM’s ACCESS model forecasts suggest the whole country will experience above average maximum temperatures over the next three months. Figure 6. February to April maximum temperature outlook. Minimum temperatures are also forecast to be average to above average over the next three months. Figure 7. February to April minimum temperature outlook. The Bureau of Meteorology releases regular outlook videos, covering all this information. Watch the most recent video below.